Whether you have moved into a new home or thinking about total revamp now is a great time to start planning a new garden. You can spend the winter months preparing your patch ready for planting up in the spring. In addition as this time of year is considered the off season there are lots of discounts to be had on equipment and seeds. If you can't find what you want you can of course start dropping some heavy hints for Christmas present ideas! Test the soil – Before you decide what type of garden you may want do a soil test. An alkaline result will rule out planting any acid liking plants such as rhododendrons in the ground. Clear the area – Get rid of any plants you know you don't want in your new design and keep those that you can use. Also tidy up any dumping grounds there may be such as old pots and broken tools. Give the ground some love – If you are going to be growing anything in the soil make it the best you can by adding nourishment through compost, mulch or fertilisers. Uses for your garden – Will you simply be using it for relaxing with drinks or will it be part of your kids' football pitch? High or low maintenance – Be realistic about how much work you are going to do in the garden after it is finished. Do you have the time to mow grass, deadhead plants and weed? Visit other gardens for inspiration – There may not be many gardens open at this time of year but those which are will give you ideas for layouts. It will also help you decide if you prefer the more bare look or something with more greenery all year round. Not just about the plants - Think about other aspects such as furniture, ornaments and any water features. Work and storage – Don't forget any buildings you may need such as sheds and greenhouses. Look before you plant – Before you finally plant everything place any plants in their pots on the ground and move things around before you finally start digging. Create impact – If you want a splash of colour then one single plant won't be any good. Go big in your plant numbers and remember the rule of odd numbers. Groupings look better to the eye if you arrange in clusters of odd numbers. 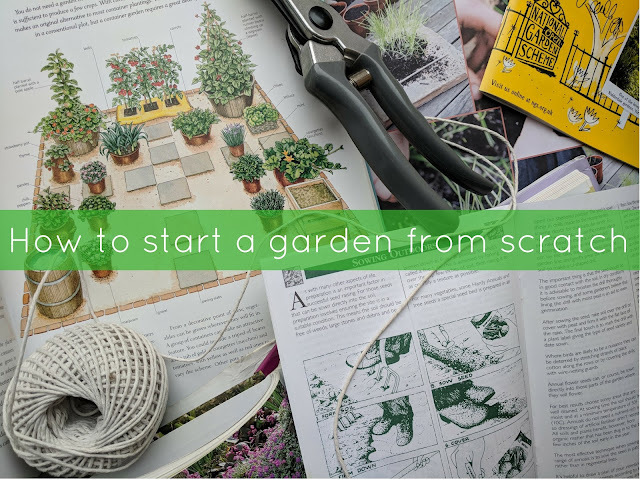 Have ever designed a garden from scratch? Do you think your garden needs a redesign?